Find a Tree, Lay down below it, Or sit with your back to it, Close your eyes and Listen, Take in all the sounds and smells, Become aware of the world around you, After time you will become that Tree, When you leave Thank it, Never Forget the Time You Spent Together. When we spend time with a tree we help to increase its energy which is then maintained by all the other creatures that interact with it. After our close contact with a tree we leave feeling relaxed but also energised. 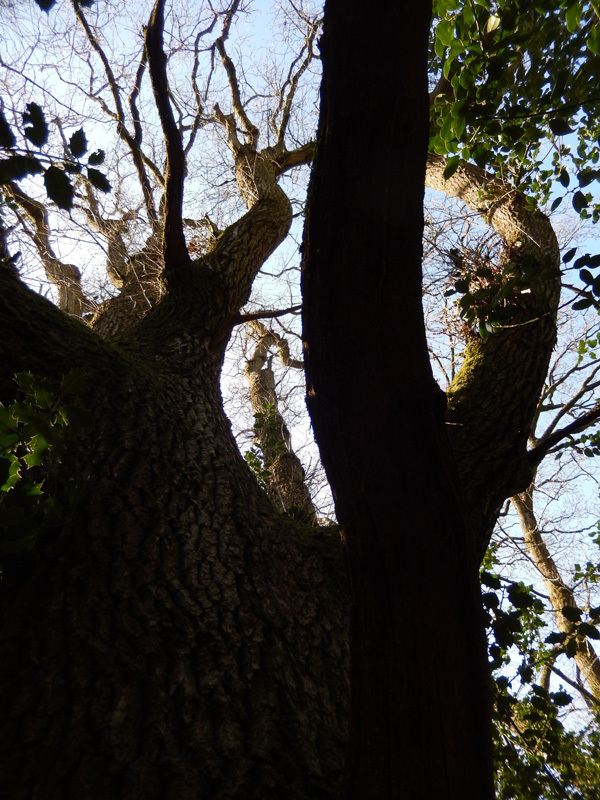 Through regular visits to trees we can develop a better understanding of the natural world around us and our place within it. Find a Tree or let a Tree find you, Look at it closely, Experience its smells sounds and textures, Then drawing or photograph it, Write a poem or song about it, Then in the future when you want to forget your cares, Look at your image, Recite your poem, Sing your song, and Remember the Time You Spent Together. Whether in word or image trees have been a source of inspiration for artists for centuries. The artist Piet Mondrian would never have discovered his unique form of abstraction if he had not studied the structure of trees. This is your opportunity to find inspiration from a tree. The exercises were given to a group of artists. Their interaction with trees can be seen in an exhibition titled ‘Find a Tree’ at the Meeting House Arts Centre, Ilminster, Somerset from the 3rd to 29th of October 2016. On Sunday 9th of October in the gallery there will be a talk and an opportunity to meet some of the artists.